Turnkey Aliso Viejo Townhouse For Sale! 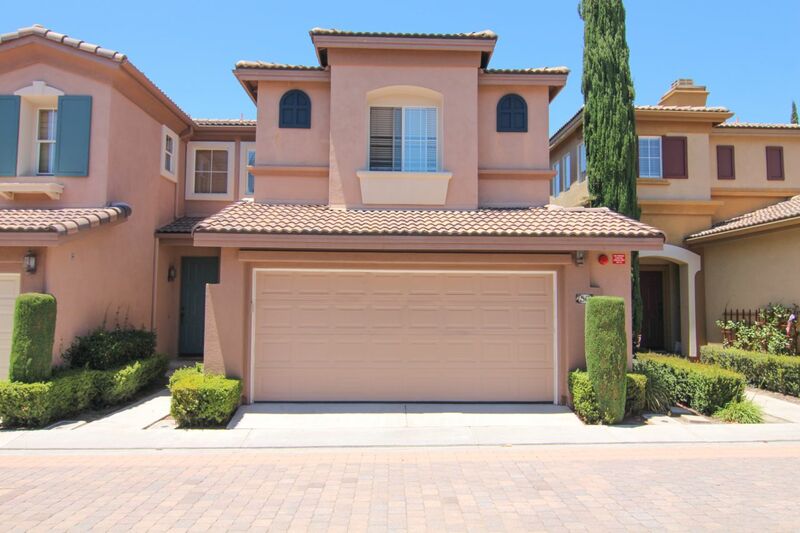 Come see this beautiful Aliso Viejo Townhouse in one of Aliso Viejo’s finest gated townhome communities. The Milano tract is not only located across from SOKA University with its beautiful majestic views off Wood Canyon Dr, but the community features beautifully decorated cul-de-sac streets with terra-cotta colored pavers and Italian Cypress trees that adorn each cul-de-sac street in the community. This unit is located just steps from the pool which also offers plenty of guest parking nearby. The interior is well maintained and decorated with neutral colors throughout. Note the beautiful ceramic tile flooring throughout the downstairs and the neutral carpet upstairs. Cozy fireplace in the living room, large sliding glass door in the dining area leads out to the spacious back patio. The kitchen features a long breakfast bar and direct access to the 2 car garage. this floor plan offers dual master bedrooms upstairs, each with its own full bathroom. In addition there is a media center upstairs perfect for home office. Inside laundry can also be found in the upstairs hall. Don’t miss the opportunity to live in the highly coveted Milano community.